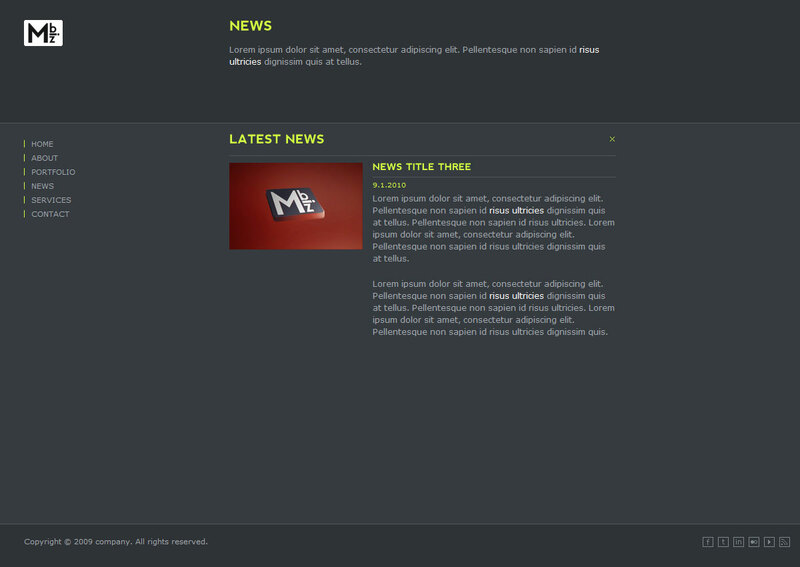 - [Fixed] the upside-down titles in IE9 is now fixed. - Tested with latest versions of Firefox, Chrome, IE, and Safari. 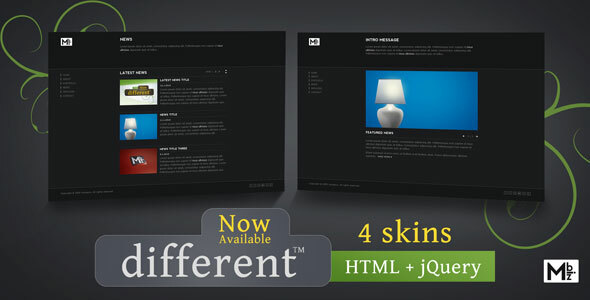 different™ is a simple and clean HTML theme enhanced with jquery. 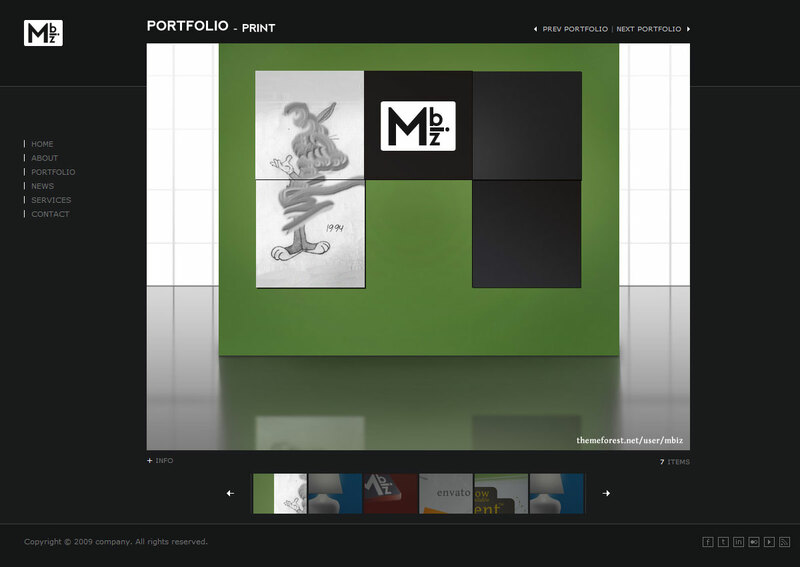 It is designed for small corporates, but its nice portfolio viewer makes it great for personal use too. It has some unusual features. The other version is jQuery based. 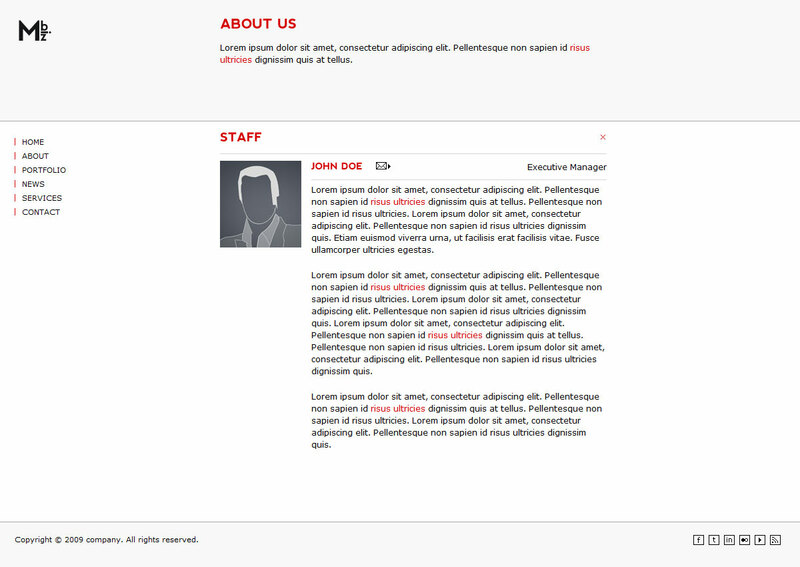 In which I used jquery for a fancy look and for faster navigation inside a single page. It also comes with two four color schemes, dark, bluish gray less darker, light, and white. 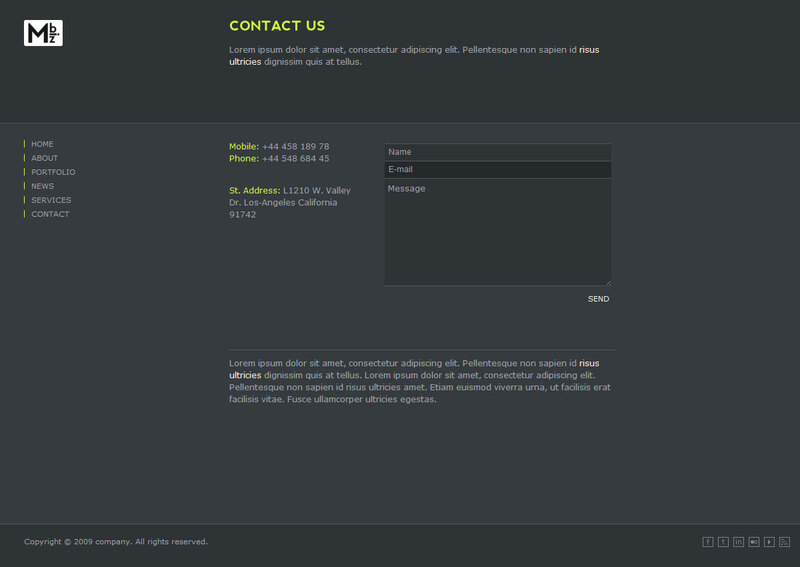 Fully working php contact form enhanced with jQuery. 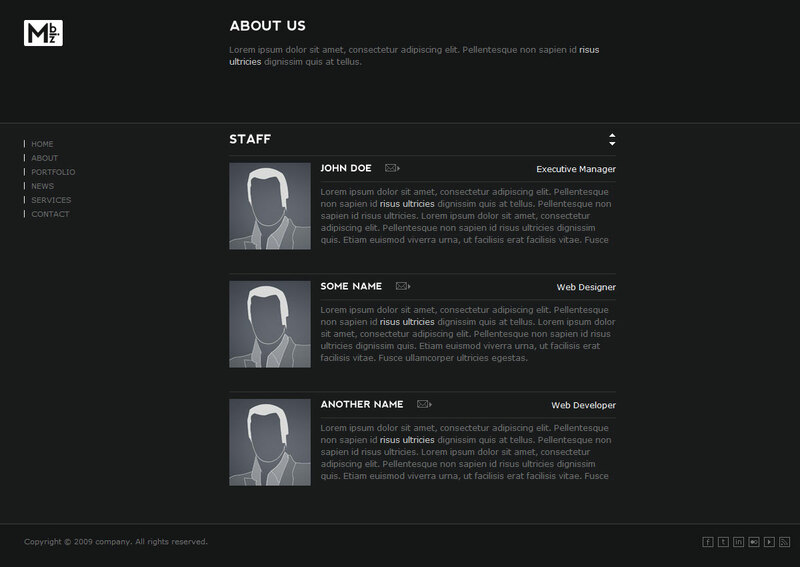 Sliding main menu with jQuery. Social icons designed to fit the look and feel of the site with jQuery tooltips. 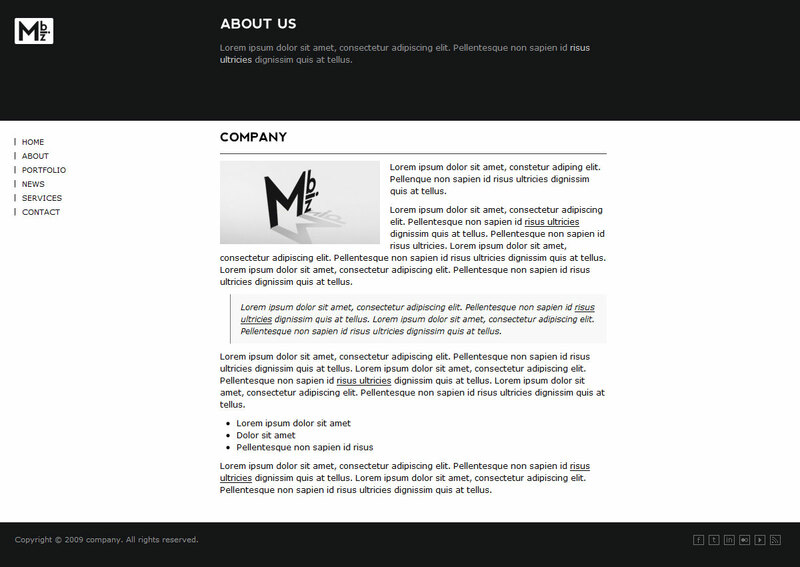 PSDs of all the website elements. 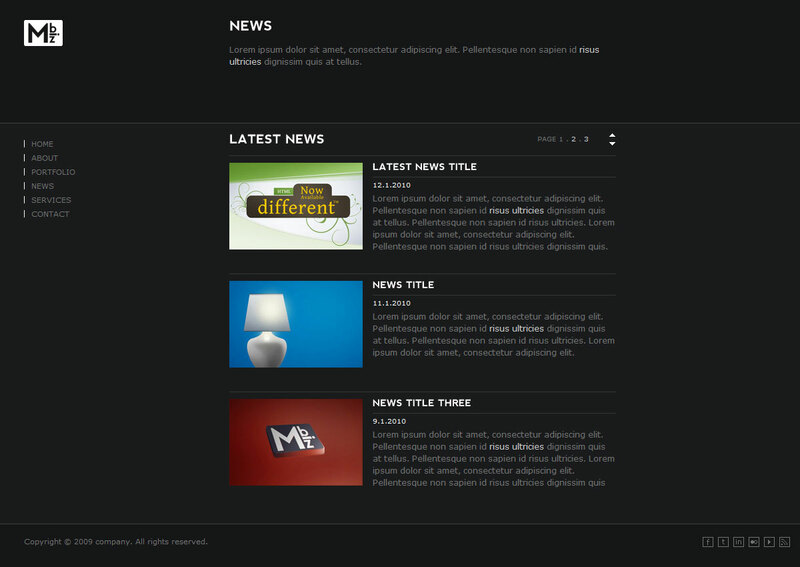 Two versions included, HTML and jQuery based. flash-like content preloader using QueryLoader. Page content managed by jQuery, which means less page loads. jQuery Scrollable page elements (users with screen height >= 1024 won’t need the browser scroll bar). Gaya Kessler – www.gayadesign.com for his QueryLoader. 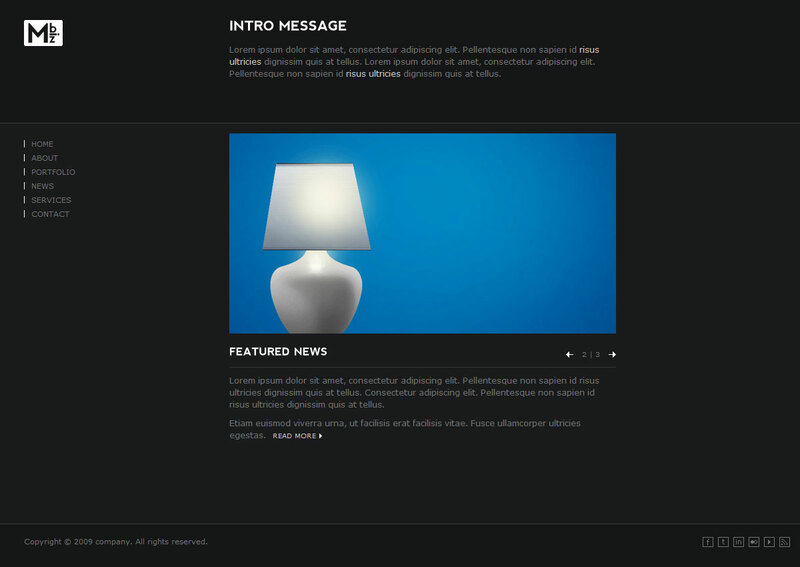 Leandro Vieira Pinho – http://leandrovieira.com for his jQuery lightbox.